According to American Heart Association and the American Stroke Association, good diet and regular exercise can help improve your brain function, cognitive abilities and reduce risk of dementia too. Do you exercise enough, consume a healthy diet and maintain a certain lifestyle required to keep your heart healthy? According to American Heart Association and the American Stroke Association, these good habits can help improve your brain function, cognitive abilities and reduce risk of dementia too. According to an advisory published in the journal Stroke, our heart and brain require adequate blood flow. When blood vessels narrow and harden over time, it increases the risk of heart attacks and strokes as well as decline in brain function and cognitive abilities. 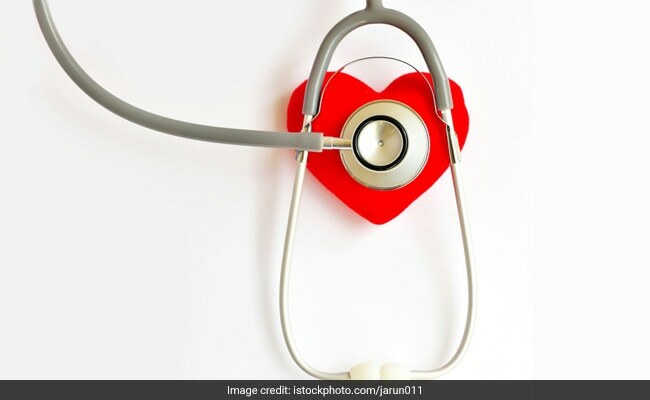 According to the scientists, this type of blood vessel damage, known as atherosclerosis, can be minimised by following a healthy lifestyle like saying no to smoking and alcohol, and keeping a close tab on blood pressure, blood sugar and cholesterol levels. The researchers said that most health care providers recommend certain diet and physical activities for a healthy heart, but many of them are not aware about the possibility that the basic factors that prevent heart attack and stroke may also prevent or delay the onset of cognitive impairment and dementia. The study also mentioned about 75 million people worldwide could be at a risk of dementia by 2030, stressing the need for taking precautionary steps to keep the brain healthy as early as possible because atherosclerosis can begin in childhood. Elevated blood pressure, cholesterol and blood sugar could damage blood vessels, triggering complications that eventually reduce blood flow to the brain, according to the researchers. The team further suggested that while it is extremely important to control blood pressure and cholesterol with medications, cognitive and brain health could benefit greatly if the blood pressure and cholesterol can be maintained at healthy levels through little efforts such as engaging in aerobic exercise, eating a Mediterranean diet, and keeping a healthy weight. As the name suggests, this popular diet is typically followed in the Mediterranean countries. It is characterised by high consumption of plant-based foods, whole grains, vegetables, nuts and olive oil. Olive oil is the fat which is obtained from crushing olives, a fruit that is primarily grown and cultivated in the Mediterranean region. Olive oiI has been linked to raising good cholesterol and improving brain power. Olive oil also moisturises your skin from within. A Mediterranean diet also limits the consumption of unhealthy fats and promotes consumption of lean sources of protein like chicken or fish over red meat. This sort of a diet is known to be heart-healthy, boosting brain power. The western diet is mostly laden with processed food, refined sugar and flour, and is paired with a lifestyle devoid of exercise, which can result in adverse effects for both brain and heart. Adopting a Mediterranean diet, along with other heart-healthy habits, are best done as early in life as possible to get the most benefit, the advisory emphasises. Eating well and exercising is a good way to start for all those looking to cut down on risk factors affecting their heart, and wanting to keep their brain function at an all-time high, said the researchers.